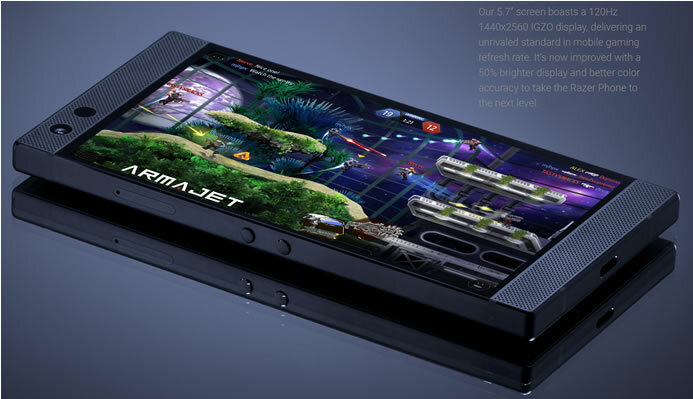 Razer today announced the Razer Phone 2, the very definition of flagship performance and true mobile gaming. 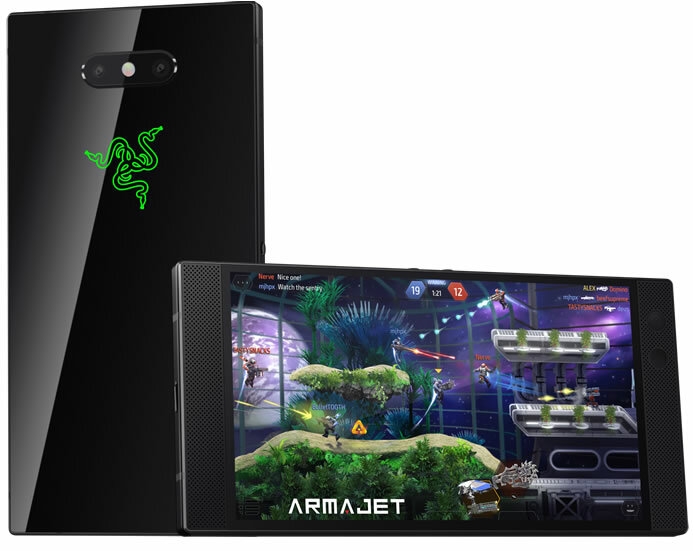 The Razer Phone 2 offers up to 30 percent more performance than its predecessor, thanks to the combination of the latest flagship components and thermal cooling solutions. The Razer Phone 2’s 5.7-inch UltraMotion IGZO display remains the only display in the industry that offers both 120 Hz screen refresh and 120 Hz touch sampling. What you see is what you touch. The new display is now 50 percent brighter than the one in the first Razer Phone. The Qualcomm 845 Snapdragon chipset and Qualcomm Adreno 630 graphics processing unit (GPU) will blitz through the most demanding apps, and their performance is further enhanced by the Razer vapor chamber cooling system that provides for industry-leading thermal cooling. The vapor chamber provides more surface area for heat to dissipate, while sustaining high frame rates for an overall cooler and more powerful experience. 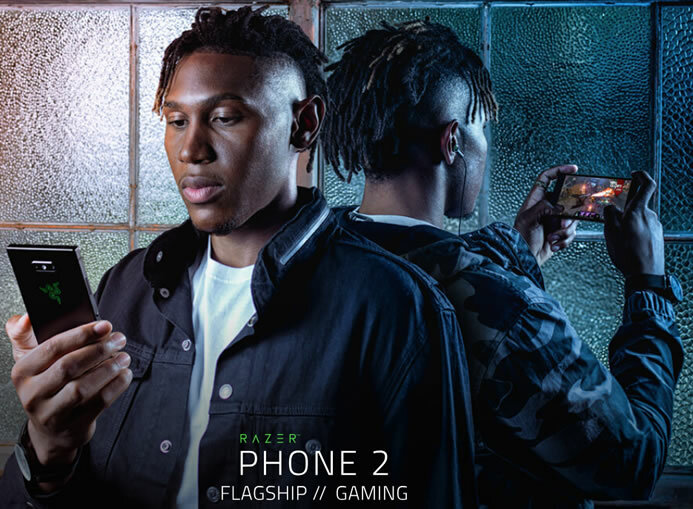 The Razer Phone 2 improves on its imaging capabilities with a new rear dual-camera setup that offers a 12 MP wide-angle lens with optical image stabilization (OIS) and a 12 MP telephoto lens with 2x zoom. Be it fast action or low-light scenes, the Sony IMX sensors are tuned to produce low-noise images with a wide gamut of colors. On the front, the 8 MP camera supports video streaming at full HD resolution, a boon for all live-streaming professionals. The Razer Phone 2 packs a 4,000 mAH capacity battery for all-day gaming and entertainment needs. The rear of the phone features the Razer triple-headed snake logo that glows in 16.8 million colors to provide app notifications (such as Facebook comments or WhatsApp messages). Wireless charging is now enabled on the Razer Phone 2 with its new glass back. Using a USB-C cable, Qualcomm QuickCharge 4+ allows users to charge the phone from a flat battery to 50 percent charge within just 30 minutes. 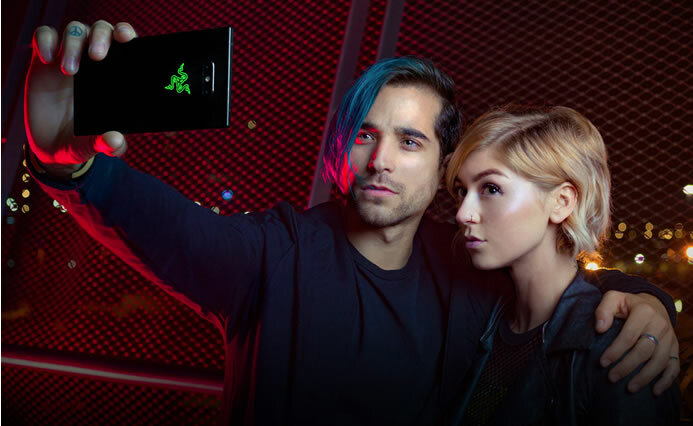 The Razer Phone 2 is powered by Razer Chroma, the world’s most popular RGB lighting system for gamers. The dual front-spacing speakers take up home position on the top and bottom bezels, allowing for both incredible sound projection across any room, as well as an ergonomic form factor for long hours of handheld gaming. 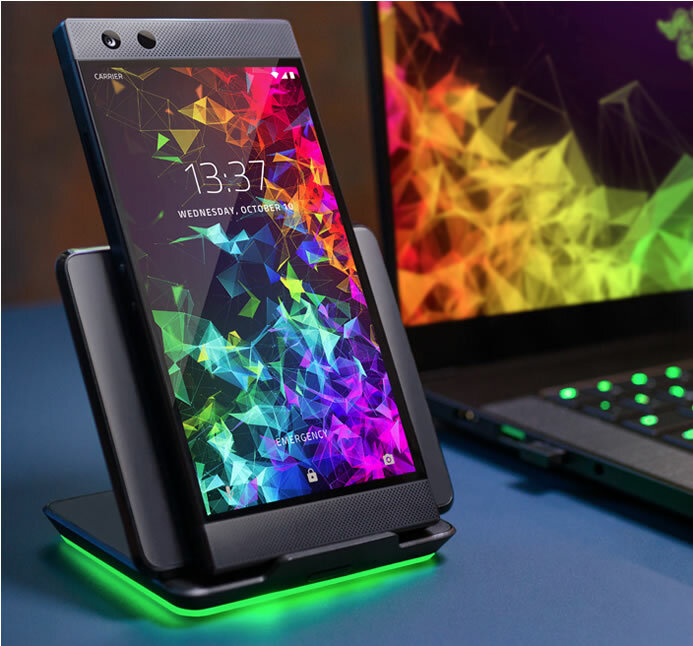 The Razer Phone works with LTE Gigabit networks with download speeds up to 1.2 Gbit/s, allowing for 20 percent faster downloads while on the go. The Razer Phone 2 is the only phone officially certified by Netflix for HDR (high dynamic range) video content and Dolby Surround 5.1 audio content. 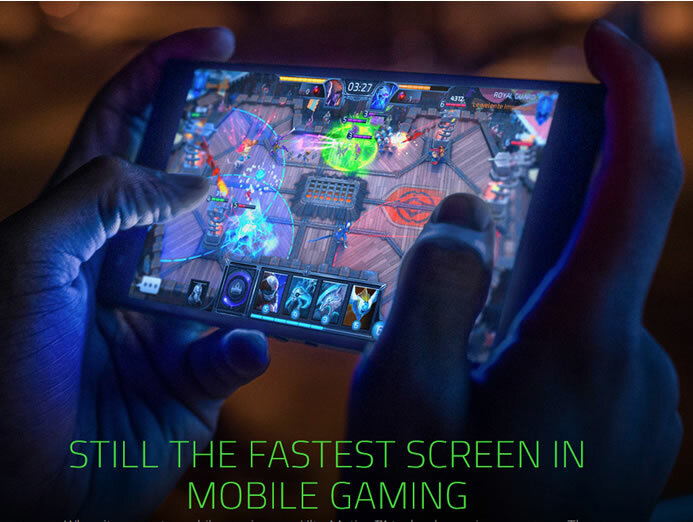 The Razer Phone 2 has been optimized for today’s hottest mobile titles like “PlayerUnknown Battlegrounds Mobile (PUBG Mobile),” “Rival Crimson x Chaos,” “Marvel Future Fight,” “Guns of Boom,” “RuneScape” and more. The Razer Phone 2 has also been tested for IP67 resistance to dust and water. The Razer Phone 2 will be available starting at US$799 MSRP in Mirror Black and in a Satin Black variant (arriving in Q4), in USA, Europe and Asia-Pacific. Preorders start on Oct. 11, 2018 at 12.01 a.m. PT on Razer.com.